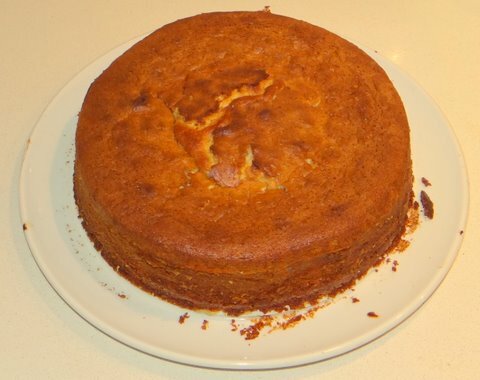 Last night I made this simple but delicious almond cake for the first time, but it will certainly not be the last! 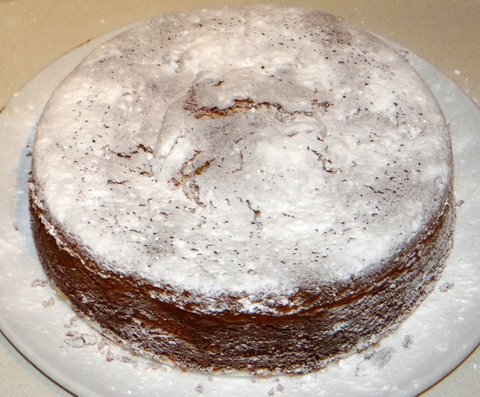 I’ve used Biba Caggiano’s recipe from “Biba’s Taste of Italy” with some improvements. The springform pan I used is the “Bake It Easy” from Porsgrund, which is a springform pan and porcelain serving platter in one. Very handy! Preheat the oven to 160C/320F. 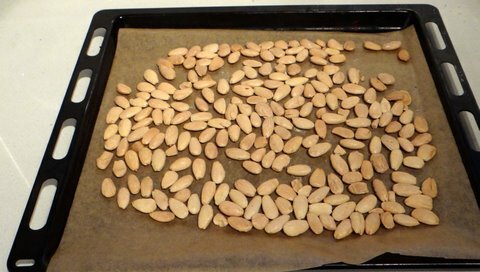 Spread the almonds on a baking sheet (using parchment paper if the sheet is not clean enough) and toast for about 10 minutes until golden. 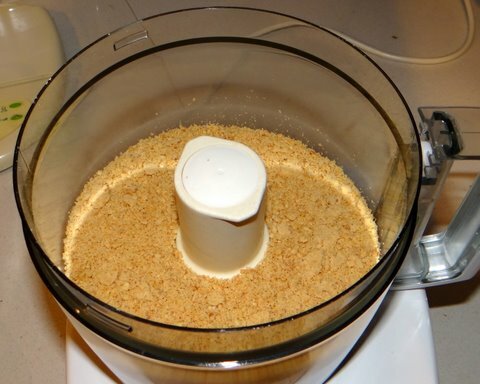 Chop almonds in the food processor with 2 tbsp of the sugar until fine but not pulverized. 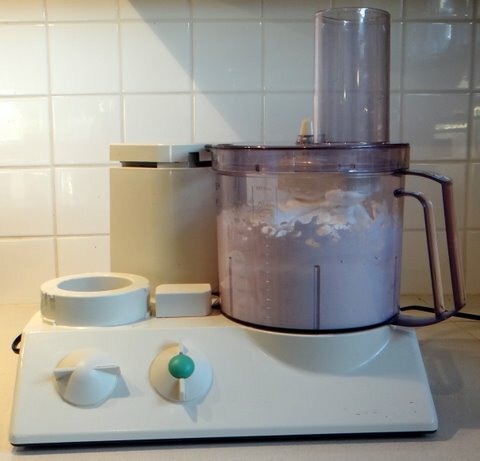 In a clean bowl beat the egg whites with 2 tbsp of the sugar with clean beaters until stiff. Beat the egg yolks with the remaining sugar until pale yellow. Beat in the butter. 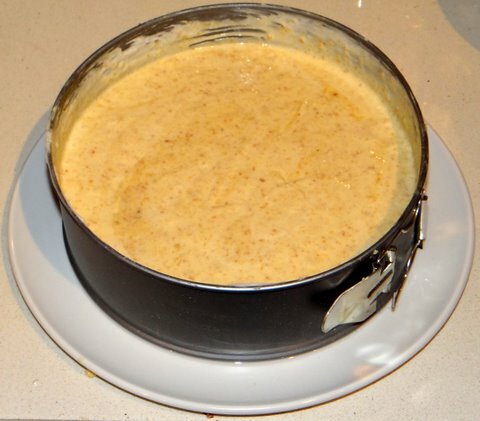 Add honey, baking powder, liqueur, milk, almond extract, and chopped almonds. 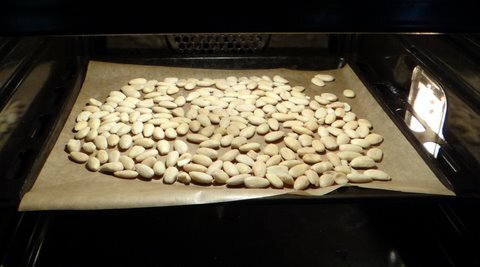 Add flour in three additions. 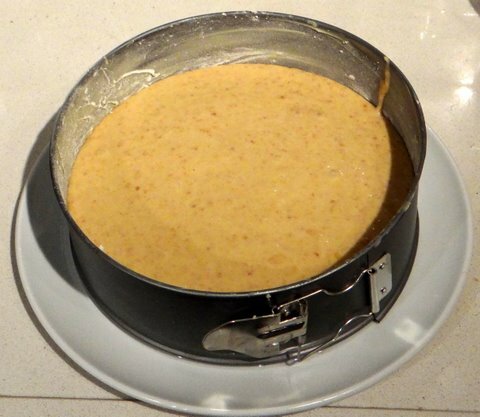 Butter the springform pan and sprinkle with flour. Pour in the batter. 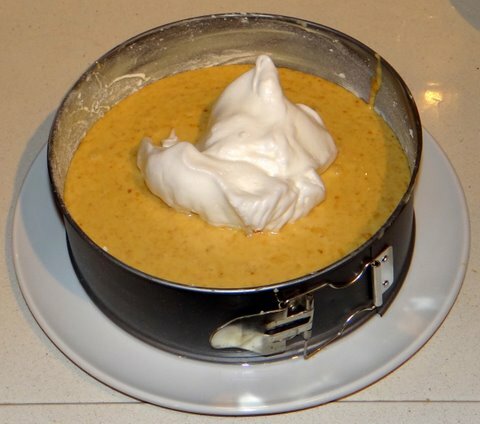 Carefully fold in the egg whites in three additions to keep as much air in the batter as possible. 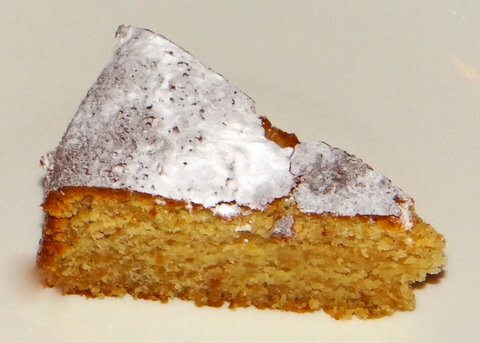 Place the pan in the middle rack of the oven and bake for 70-80 minutes at 160C/320F until a tester comes out clean. 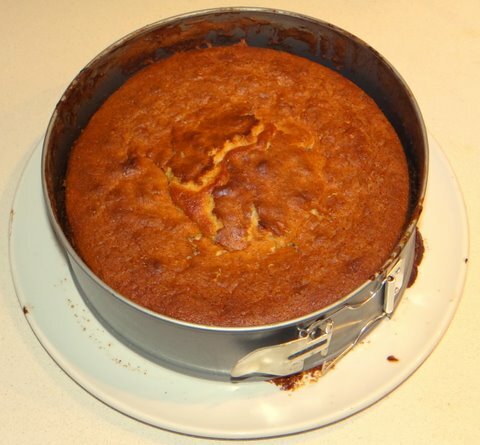 Let the cake cool in the pan for about 10 minutes until it unattaches from the sides. Remove the sides and let cool to room temperature. The cake will keep well for some days if you wrap the exposed sides in plastic wrap. Looks great Stefan! I shall try it!